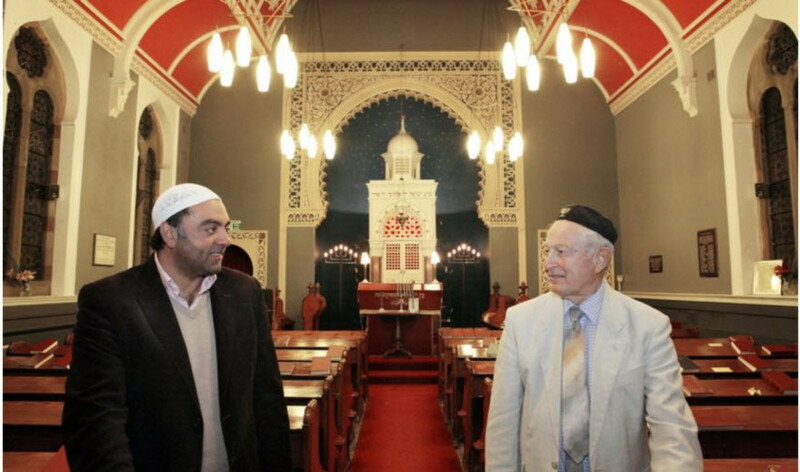 What do Arabs and Jews have in Common? We like to think of Arabs and Jews as being very different. But according to religious scripture, their common lineage started with Abraham, who had two sons: Isaac and Ishmael. The Jews believe that Isaac would be the Son of Promise and the Arabs believe Ishmael would be the Son of Promise. Both the Bible and the Koran have similar stories about Abraham almost sacrificing his sons to God to prove his faith in God. However, the difference in the stories is that the Jews believe God said it would be Isaac that would create a great nation called Israel and Arabs believe it would be Ishmael who would lead a great nation called Islam. 722 B.C. 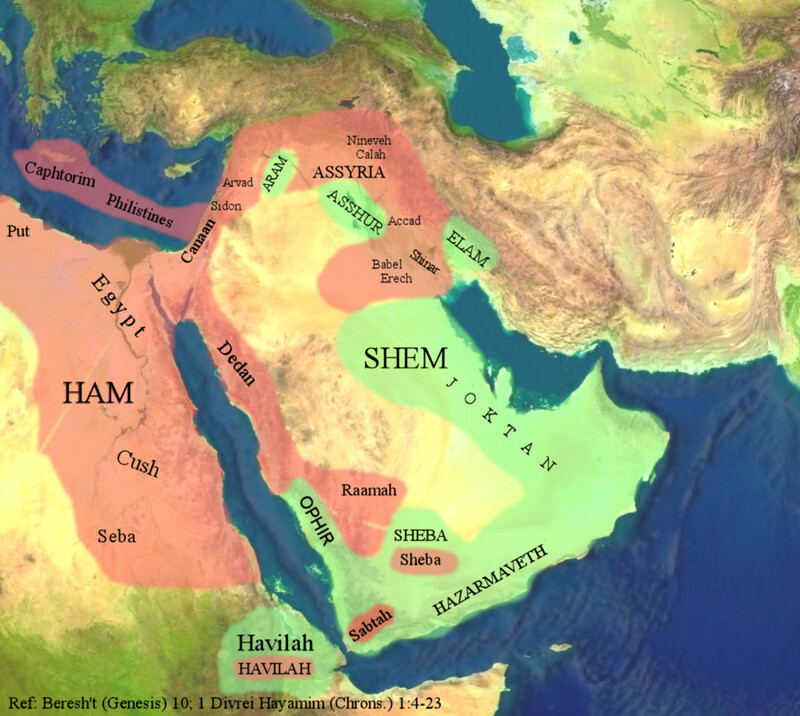 - Assyrian King Shalmanesar V conquers Northern Israel- The Ten Lost Tribes are scattered all over the Middle East. There are far too many instances of countries and societies persecuting Jews during modern history to mention the details. Suffice it to say that history includes, Christians, Muslims, the Holocaust, Russia, and the Soviet Union all played a part in some form of anti-semitisim that caused the Jewish population to be scattered and displaced throughout different countries. The Zionist Movement started in the 1600's and was about getting the Jewish people to consolidate into one area, preferably Palestine. During World War I, the British and French were fighting the Ottoman Empire. Theodore Herzel was in charge of the Zionist movement at the same time. The British were in need of acetone to process cordite for their explosives. However, the acetone was made by distilling it from timbers, which were in short supply in Britain. As a result they were importing timbers from America. At that time, there was a Jewish biochemist, Chaim Weizmann, that was part of the British Ministry and also a Zionist.. He was given the task of developing a cheap way of extracting acetone from other materials. He found that he could distill acetone from horse chestnuts by using a bacteria fermentation process. As a result, the British were able to produce mass quantities of acetone to process cordite for their explosives. Cordite is a propellant that makes artillery shells smokeless so they can't be traced when fired.. This innovation helped them win WWI. 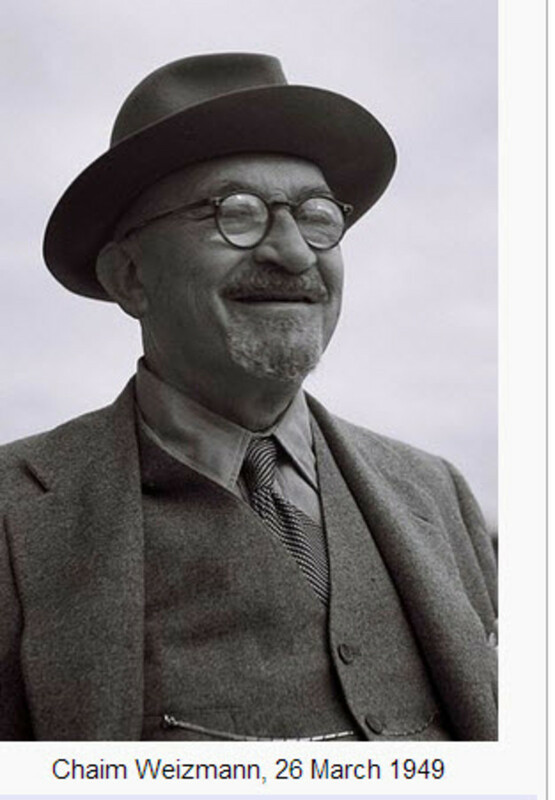 As a result, Weizmann became highly recognized by Theodore Herzel, the leader of the Zionist movement, Lord Balfour, the Foreign Secretary of Britain, and Baron Rothschild, a Zionist sympathizer with a lot of money.. It should be noted that later Chaim Weizmann was to become the first President of Israel. The common interests of Herzel, Wiezmann, Rothschild, and Balfour resulted in the Balfour Declaration of 1917. The motivation for the declaration was three fold. Russia was in a revolution and they wanted to keep them in their war by being sympathetic to the Jewish population. Britain wanted to attract Jewish financial resources. 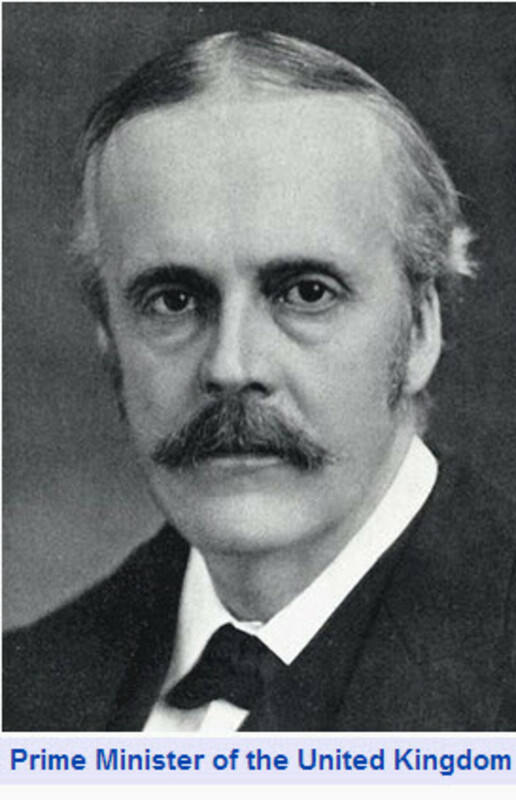 The following is the text of the Balfour Declaration. Notice it states a "national home" for the Jewish people, not a state or nation. Also in the last sentence it states that, "nothing shall be done which may prejudice the civil and religious rights of existing non-Jewish communities in Palestine." 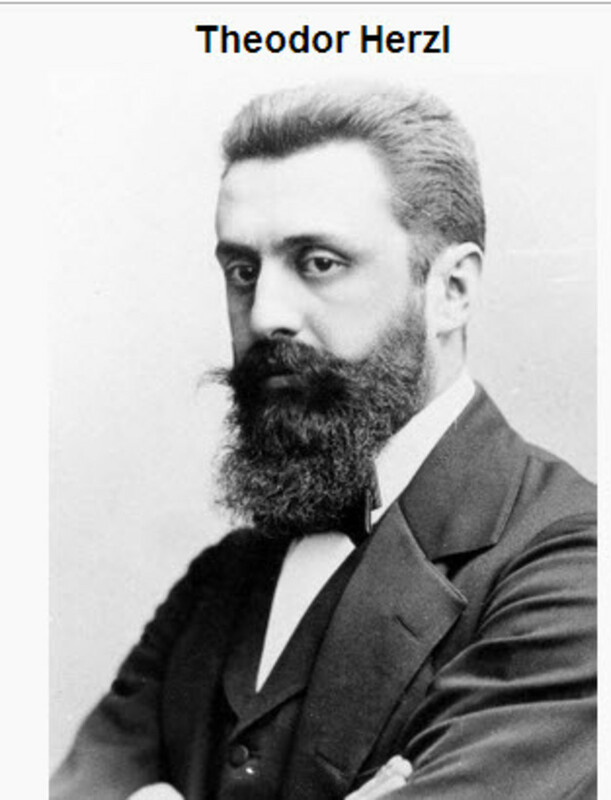 The First Zionist Congress was held in Basel Switzerland in 1897. Theodore Herzel presented the following mission statement for Zionism. The promotion of the settlement of Jewish agriculturists, artisans, and tradesmen in Palestine. The federation of all Jews into local or general groups, according to the laws of the various countries. The strengthening of the Jewish feeling and consciousness. It is item four that is pure genius. It can be decoded to mean the Zionist and Israel will have endorsement by other countries in order to become a legitimate country. The Palestinians did not do that. The Balfour Declaration does not call for Palestine to be a legitimate country. An agreement was made during WWI between the British and the French to divide up the Middle East, after the war. France would have control of Syria and Lebanon and the British would have control over Iraq, Jordan, and Palestine. This agreement was made in secret and was called the Sykes-Picot Pact, named after the creators of the agreement. The Sykes-Picot Pact was actually implemented after the war. The British were granted possession of Palestine by the League of Nations. With this system, colonial territories were to be administered by a foreign power until the local population was deemed ready for self-rule. The 1920s and 1930s saw an increased immigration of European Jews into the Palestinian Territory. This was because of a rise of Zionism and ever worsening political conditions for Jews, especially in Germany. From 1920 to 1947, there were increasing conflicts between the Jewish immigration and the Palestinians, resulting in many battles for land. The British were caught in the middle and in 1948, they gave up control of the Palestinian Territory and gave it to the newly formed United Nations. in 1947, the United Nations proposed partitioning Palestine into two separate states. But that never happened. In 1948, the Arab Armies invaded the land. The map shown below is in French, but it gets the point across. The Israeli forces won the 1948 war, but they pushed well beyond the UN-designated borders to claim land that was to have been part of Palestine, including the western half of Jerusalem. They also uprooted and expelled entire Palestinian communities, creating about 700,000 refugees, whose descendants now number 7 million and are still considered refugees. The 1948 war ended with Israel roughly controlling the territory that you will see marked on today's maps as "Israel"; everything except for the West Bank and Gaza, which is where most Palestinian fled to (many also ended up in refugee camps in neighboring countries) which are today considered the Palestinian territories. The borders between Israel and Palestine have been disputed and fought over ever since. So has the status of those Palestinian refugees and the status of Jerusalem. As a child, I remember watching T.V. and seeing bulldozers pushing down Palestinian houses and making refugees out of the people living on their own land. 1967 - The Six Day War Israel occupies Gaza, the West Bank, and Syria's Golan Heights which are beyond the borders of the UN partition plan of 1947. 2005 - Israel Withdraws occupying troops and settlers from Gaza, but maintains full blockade of the territory. pushing Palestinian unemployment up to 40%. What they do have in common is they are recognized as terrorists groups by the west and they do not recognize Israel as a nation. The U.S. support for Israel actually started with the Zionist movement. 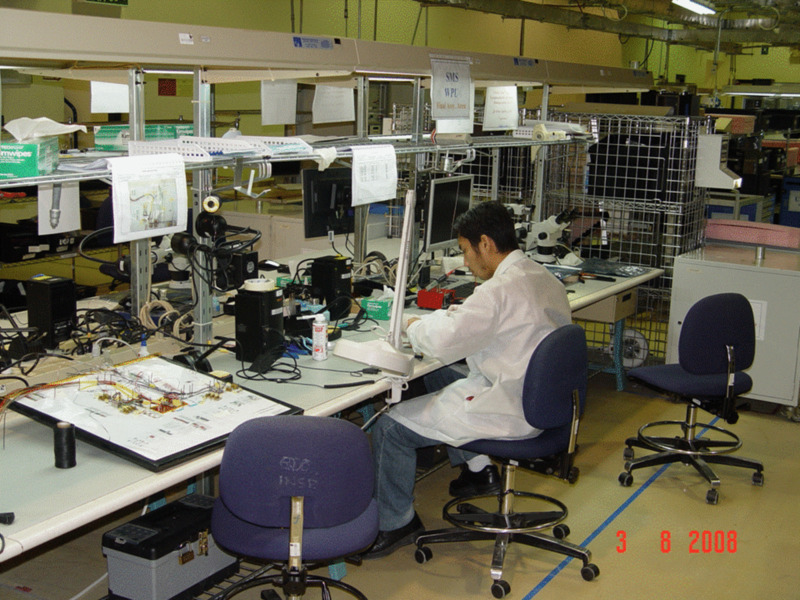 However, it picked up real momentum during the cold war with the Soviet Union. At that time Israel was instrumental in providing intelligence about the Soviets and the Mid-East. The support today takes many forms, including financial, religious and political. Financial - The U.S. gives Israel 3 billion per year. Seventy four percent of that must be spent on U.S. goods and service including military arms. Religious - Some Christians believe the second coming of Christ is supposed to happen when all the Jews return to their homeland. Therefore, it is in their best interest to support Israel. Political - American Israel Public Affairs Committee (AIPAC) is one of the most influential and powerful lobby groups in the U.S. They have the power to influence congress and presidents by donating money to those who believe in their cause Therefore, influencing the policies that benefit Israel, in their quest to secure their homeland from the Palestinians. I don't believe there will ever be a two state solution. The Palestinians want their country back and the Israelis want as much of the Palestinian territory as they can acquire by colonizing, settlements and building blockades, and walls. This will continue on in a give and take basis forever or until one side defeats the other side. The chances of Israel being defeated by any of the so called terrorist groups is none. Israel can protect themselves with a superior military including the "Iron Dome." Here is a link to video of the Iron Dome in action. The Palestinians have been dehumanized by the Israeli blockades and walls that restrict their economy and quality of life. In the West Bank there are bypass roads for the settlers, but the Palestinians are burdened with a matrix of check points under military control. Prior to the mass immigration of the Jews into Palestine, the Palestinian people were mainly farmers that toiled in their own land. When the Zionist movement started the Jewish people that settled in the country were much better educated than the Palestinians. Until this day, the Israelis have made a point of keeping Palestinians from improving their education. Palestinians are not allowed to attend Israeli schools. The resistance/terrorist groups don't help matters much as they are hell-bent on destroying Israel. The question is, do they really represent the will of the people? Gaza has a population of 1.8 million people living in an area 5 miles wide and 25 miles long who are refugees in their own country. That density population is twice that of New York City. The West Bank is also populated with scattered settlers among the Palestinian refugees. After doing the research to write this piece, it has become clear to me, that the government of Israel is intent on disposing of the Palestinian people by whatever means they can exploit so that they can expand their Jewish state as far as possible. They have made life miserable for the Palestinian people. They provoke war so they have an excuse to destroy Palestinian civilians, their homes villages and buildings. Yes, Hamas has tunnel systems into Israel, but what do people do when they are held captive in their own country. 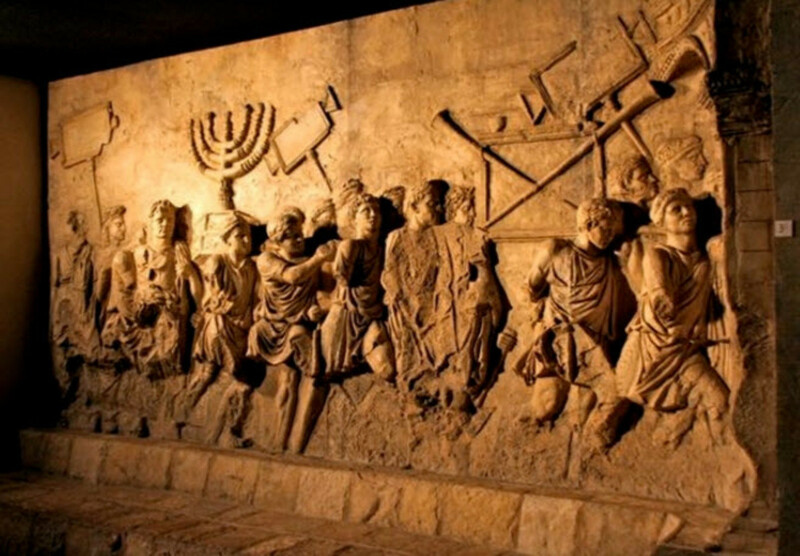 This is all done under the guise of 2,000 years ago, God told the Jews they should return to their promised land. Do you believe there will ever be a two state solution? Do you believe the Israelis are justified at expanding their country into the Palestinian territory? Should the U.S. stop funding Israel? Do you think the Israeli government would be happy if all of sudden the Palestinian people disappeared? The Developing Anti-Semitism of Martin Luther: A Clash of Theologies or Wounded Pride? How Should Christians Respond to the Israel/Palestine Conflict? In view of what is going on with Netanyahu, Trump, the UN, and Putin. I'm sharing this article that I wrote about why there is an Israeli/Palestinian/conflict. The same here. It has been one hot week, the nights don't usually stay that warm. See you on your next hub. Brad: As I see it, the four state solution is the only answer that will bring peace to the middle east. And we have to get out of there. Hey it's been great discussing this topic with you. Stay cool. "But it's not actually clear what Israel has won. Since the conflict, there's been very little to suggest Hamas's political hold over Gaza has been seriously weakened. That means the group can resupply, much as it did after the 2008-'09 and 2012 Gaza wars. Some Israeli strategists call these repeated wars between Israel and Hamas "mowing the grass": repeated conflicts aimed at making sure Hamas never grows too strong." Well we ran through the options, and we can't figure it out, so I guess Israel, and Palestine will have to figure it out without our help. Brad: I think Egypt is aligned with Hamas who controls the Gaza Strip. You are right about the UN. I was thinking about when we place sanctions on a country, we are running the show, even with coalition forces. I had not heard the term "mowing the grass' before. That is pretty horrifying. Chantelle: The Israeli/Palestinian conflict is like the Hatfield's and the McCoys. They are constantly feuding over the land. Palestinians have lived on that land since biblical times and so have the Israelis. However, Israel never did and never will recognize Palestine as a separate state. Therefore, they continue to settle into Palestinian territory regardless of any peace talks. I don't hate Israeli's per se. However I don't like Netenyahu, and previous Israeli leaders, because they have never been serious about a two state solution as evidenced by the continuation of settlements and blockage of travel. This latest conflict with Hamas was basically one sided as we helped build and fund the Iron Dome. Seventy three Israeli soldiers were killed while thousands of Hamas and Gaza civilians were killed. As long as Israel continues their settlements and treats Palestinians as dehumanized beings, there will never be a two state solution and the wars will continue. Israel cabinet members call it "mowing the grass." After the grass gets too high and too strong, they have to mow it down to size. It is not like they can extend to Jerusalem, but they could expand to Egypt. So where does Egypt stand on the plight of Palestine? The US pays for the UN, it doesn't run it. It can't with all the opposition from China, and Russia. True the Israelis put the Palestinian through a lot to get from gaza to Israel . But so do the Egyptians when Palestinians want to go into Egypt. I really don't understand why I steal is keeping them in their open air prison while Egypt is never mentioned. Neither Israel nor Egypt is required to allow anyone of any nationality enter there country if they don't want them there. I guess I'm just trying to understand where your hatred for the Israelis comes from. You've never lived there, as gas as I can tell you're not a Palestinian so why all the animus? Do you feel the same way about Hamas? Chantelle: This wasn't during WWII. I saw it on T.V. and possibly in theaters as well. It was even in Life Magazine. The news back then was presented much differently than it is today. Brad. I never said I condone any of it and I don't. I'm giving you the motivation behind their justification. The U.S. foots most of the bills for the U.N. because they run it. You are right, in my opinion, we can't even handle our problems, let alone other countries. Palestine wasn't always like T.J. The reason it looks like that now is because the Israelis have pushed them into a very tight corner of their own country by colonizing the Palestinian territory. If you look at the Gaza strip on google earth, you will see why it is such a high density living area compared to the Israeli colonization. The people in Palestine are poor farmers, who are not very well educated compared to the Israelis. Israel doesn't allow their children to go to Israeli schools. They have set up a checkerboard matrix of walls and gates to make it very difficult for the Palestinians to even travel. They have turned the Palestinians territory into a ghetto, the same way the NAZI's did to them during WWII. They want to keep them dumbed down. It's all part of their master plan. Once a cultural is dehumanized, anything can be justified. The Israelis have been very good at treating the Palestinians as a lesser class of people and making sure they stay that way. The US gives aid to so many countries including the Middle East which could take care of their own people from the oil money. Yet, no good deed goes unpunished. These problems are the kinds that a United Nations was created, although it really is a lame organization where the US foots most of the bill. We can't even solve our domestic problems, so why are we messing with the rest of the world? Palestine is built like Tijuana, and Rio De Janero, so what compels people in Palestine to live there? Are you sure you didn't see it in movie theaters? The U.S. Army embedded film makers into battle units and then played the footage in movie theaters for the masses during WWII. Maybe because you are in CA you had things we didn't? Chantelle: Sorry, I lived in California. I didn't mean to give the impression I lived in Israel. I watched the news on a new device called T.V. After I retired, I did a lot of research and analysis on Israel and Palestine and wrote several hubs on the conflicts. My son lives in Chicago and we are going to see him in mid-October. Brad: In 1948, I was 10 years old and I remember seeing Israeli bulldozers pushing down Palestinian houses and making refugees out of those people. I remember seeing the refugees having suit cases and carts with their belongings walking on the dirt roads. I didn't know where they were going. But I knew that the Israelis were tearing down their houses so they could occupy the land that didn't belong to them. Later, it showed the Palestinians fighting back with rocks and Molotov cocktails and being slaughtered by Israeli soldiers. If you were to interview every terrorist attacker that we have had from the mid-east and ask them what their motive was, they would answer, it was because of the preferential treatment that we give to Israel compared to the Arab world. You can start with Sirhan Sirhan who assassinated Robert Kennedy up until and including both times of the world trade center. The rest of the world knows this but we don't get that kind of information, because Israel has bought us out by a very rich and powerful lobbyist group called AiPAC, American Israeli Political Action Committee. The world trade center attack was instigated by Osama Bin Laden who was a Saudi Sunni and carried out by Saudi Sunni's. Iraq was attacked because the Neocons who have affiliation with Israel wanted to take out Saddam Hussein because he was a threat to Israel. The headlines were he was a threat to his "neighbors." That's code for Israel. A Shia exile, Ahmed Chalabi, from Saddam's regime convinced the Neocons that Saddam had WMDs and it was all false information. Ahmed Chalabit thought that once Saddam was taken out, he would walk in with his troops and take over Iraq. But we did let that happen, so he was given some low level position in the ministry. We have lost blood and treasure to protect Israel from their enemies. We have done their bidding for them and continuing to do it with Iran and the Nuclear deal. You seem to be pretty well verse in the Middle East, but I don't understand you putting Israel the country, and its military in the same league as the terrorists that attack and kill infidels, which includes us. My point about the Islam extremists not having a country, also means that you can't attack them as a country. While you can attack Israel. because it is a country, and they wear uniforms. So who attacked us on 911? A country, terrorists, or ? It also seems that you favor Islam including the extremists, over Judaism. It doesn't seem relevant whether Muslims because their is no country of Islam are run by a Caliphate, or an Imam? That was a problem created by Mohammad himself. How does that justify killing each other, and also killing infidels? I am getting really confused as to how we are so far apart on this hub. I guess I don't understand the issues? Brad: Iran has the Ayatollah who is a a shite Imam, but they also have a president. The terrorists of the mid-east are identified by their group names, much like gangs or clubs. They have allegiance to their groups that belong to a religious sect of Islam. Iraq and Syria have dictators running their countries, because they rule over countries in which their religious affiliation are in the minority. Israel also has extremists terrorist groups, but they wear uniforms and pay allegiance to their government. If Bebe says bulldoze down this Palestinian house, they will do it. The extremists do have countries it just not the country they want to be in. Islam is the religion, but they are in conflict as to who is going to rule the nation of Islam, will it be a Caliphate, or an Imam? Israel is more of terrorists than any of the other groups. They just use their military to do the terrorism and they legitimize it by wearing uniforms and using modern weaponry. They have convinced most of the people in the U.S. that they are the good guys. Thanks for the responses, and your views. While, not to put too fine a point on it, the issue of Theocracy for the terrorists is complex. Looking at all the countries that have these religious extremist terrorists runs the gamut. Other than Iran, the rest of the countries run from democracy to dictatorships and all kinds in between. They are even in our country, and big in Europe. Would you say that there are Jewish religious extremists that are doing the same thing as these Muslim religious extremists in acts of individual terrorism? My point is that these extremists don't have a country, like Iran where the country is run by their religion. The rest of the Middle East has the three factions of Islam that kill each other, as well as Infidels. Is your point that Israel is equal in acts of Terrorism as is Palestine? Stay cool, we have the heat wave here. Brad: Your first paragraph: Yes I agree it is in the name of Allah, but in a theocracy, it is a government that is ruled by a divine power. Do you agree they live in a theocracy? Your second paragraph: I agree totally that any religious doctrine can be interpreted to justify killing of others in the name of a divine power. Your third paragraph: Yes I agree that religion is the reason for the acts of the followers. No I'm not running for office, but I would like to submit my "Four State Solution" hub to the media, presidential candidates, and to Obama. True, but that doesn't make them any less deadly. We are just pawns of our government. You are pretty tricky Mike, you still haven't give me your opinion on the rest of my previous comment. Brad: I agree with your last paragraph and that's a great point. But the followers are just pawns in the game. I didn't understand whether you agree or disagree with my premise that Terrorists don't have a government, and they are doing their acts of terrorism (WAR), in the name of their Allah. Who is to say how to interpret the Koran or the Bible. We have dozens of different interpretations about the Old Testament and the New Testament. The Protestants changed from Catholic and the Pope for purely human and not divine reasons, and even the IRA had religious differences and became Terrorists. I am not suggesting that governments or leaders don't misuse religion for their own non religious gains, but religion is the reason for the acts of the followers. Brad: In a theocracy, God is their ruler. In the Muslim world, their laws are governed by their interpretation of the Koran. Terrorist have their own interpretation of the Koran, just like Christians have their own interpretation of the bible. The symbols on the ISIS flag says Mohammed is the messenger of Allah.. It's very important to them. And we have people in Texas that demonize their flag by drawing cartoons in a contest. They are playing with fire and don't even know it. True up to a point, but you have to now include the terrorists which don't have a government, they follow Allah. Brad: Good point, but it's not the dirt poor people that start the wars, it's the governments, the dirt poor just follow the government. As they say, just follow the money. Yes, economics is important but that is not what drives the average Jew or Arab, their drive is based on religion. So, as a government the drive is economics, but as a nation the drive is religion. So we have to put our discussions into the context of what part of these countries are talking about, the government or the people. Dubai, the Las Vegas, without drinking and gambling is being rewarded for the oil, but the average Arab is dirt poor, and their dirt doesn't have oil in it. Brad: Thanks for reading that other hub. Your are right in one sense. Religion is their identity, because they are a theocracy. But it is about acquiring land mass, which boils down to economics. The density of Palestine is an example of that.. Israel has encroached on that land by colonizing that territory to acquire more land mass. The more land you have, the better you economic situation. God has been silent for over 2,000 years, except for the people that talk to him. They are mainly the evangelist who get money from their congregation, because they talk to God...again economics. Thanks for you comments. You did a great job on this hub. However, for me the entire Middle East was and continues to be a major problem for peace and the root cause is religion. Without the oil in the Middle East no one would care what happened there. From what I have seen on Palestine, it looks like Tijuana if it had 1.8 million people. The Jews were allegedly there when Jesus lived his very short life, and yet they rejected him as their God. Mohammad followed Jesus, but claimed he was the new prophet on the block. Thanks Jesus but I am taking over as the prophet. Of course as a prophet he didn't see his own death, nor did he see that not naming his successor would put a rift into Islam. 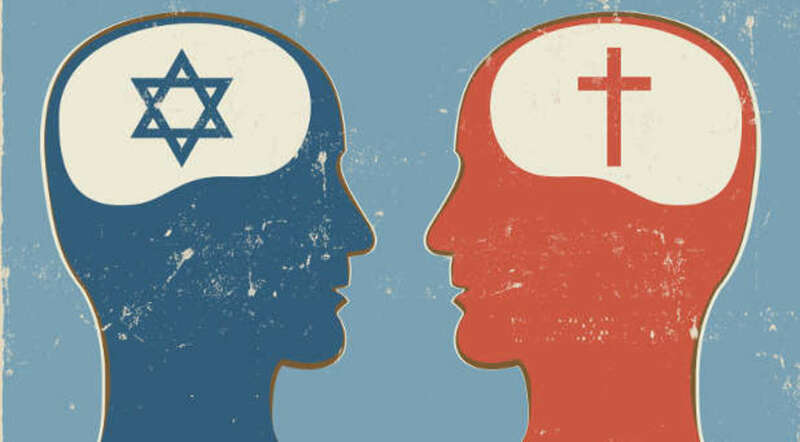 It is one thing to not agrees with the Jews and the Christians about their God, but it is another when they agree on Allah, but can't agree who their earthly leader should be. This disagreement has Muslim killing Muslim, so there is a problem in the Middle East even without the US and Israel. This is not a match for your well researched hub, but it is the way that I see it. Chantelle Porter: It's quite an irony, but I think the Israelis are treating the Palestinians the same way the NAZI treated them during WWII. They see Palestinians as a lower class of people and they want to keep it that way, so they can continue colonization of the territories. Once one class of people dehumanizes another class, they can justify anything...Look at slavery. Thanks for dropping by and your comments. I think the British Mandate really created quite a mess. After WWII, the logical place to send the Jews was Israel since they had nothing to return to in Europe. I can't imagine a two state solution ever happening, but the Israelis really need to find a way to free the Palestinians from their prison or there will never be peace. Years ago, I used to like Netanyahu, but lately I believe he is part of the problem, not the solution. 'Transport' the Palestinians to another country? That's what the Arabs have been trying to do with the Jews. He is no better than the other side. Good grief, this conflict will be going on forever - I see no end to it. What a shame. suzettenaples: I'm honored that you read my article. I believe you are right, Netanyahu does not want a two state solution. In fact I've have heard him use a term called "transport" which means move all the Palestinians to another country. It's always a pleasure to have you drop by. This is a fascinating article on Israel and Palestine and so well researched. You took on a huge topic and explained it so well. It is a shame that two states were not created in 1947. This area of the Middle East has become a quagmire. I can see both sides of this conflict. As long as Netanyahu is president of Israel there will never be a two state solution. Your background information is interesting and informative. Thanks so much for sharing this with us. JKenny: Thank you for reading it. I understand that Sykes-Picot borders were established without any regard for ethnicity, culture or religion. The Brits and the French did this because they wanted to create chaos so they could control those regions. I just read that ISIS wants to remove those borders and put Iraq under Sunni control as a Caliphate. It seems, they want to return to the days of the Ottoman Empire. An excellent summary of the conflict. I've always argued that the Treaty of Versailles has a lot to answer for in terms of the present troubles in the region. If they had simply restored the status quo of pre-1914, then the Ottoman Empire would have retained power. The dismantling of the Empire by the Allies resulted in sloppy decisions by the League of Nations which ultimately led to the wars that began in earnest in 1948 and still wage today. Thanks for a very insightful article. Thomas Swan: Thank you for your comments. They will add to the understanding for other readers. This is what I was hoping for. I'm especially grateful that you are from the U.K. This makes your comments special. I like that you've put the conflict in its proper historical context. Governments and their media tools prefer to leave out as much history as they can. Facts are the enemy of propagandists. I'm glad you mentioned Israel's policy of keeping the Palestinians living in squalor. They destroy any form of infrastructure - whether it be schools, hospitals, police stations, roads, and bridges to make sure the Palestinians never develop the framework of a functional state... and that's because the Israeli government doesn't want a two-state solution. I'm also glad you mentioned how the Israeli government does all it can to provoke wars. There's a fair amount of evidence that Hamas didn't kill those teenagers at all. After all, why would they? Hamas has a history of trading prisoners, not rendering them worthless by killing them. maxoxam41: Thanks for your comments. I could detail the atrocities that are committed by the Israelis but that would require a new article. I wanted to give the readers a flavor of what is going on and how this country has been brainwashed into thinking the Israelis are the good guys. I didn't know that Fatah is allied with Israel. I'll check that out. Thank you. Your article is almost complete. You forgot in the "dehumanization" paragraph to underline the daily deprivation that the Palestinians suffer from. You omitted the numerous Israhelli attacks directed to its neighborhood in the name of the great israhell. The Fatah is not a resistance group since it is allied to Israhell. It is time to point out the atrocities committed by Israhell.